For safe storage of 12 small and 4 large Descent figures. Eventhough the Elementals pose a danger to everything around them, you can safely store them here with the other monsters and heroes. 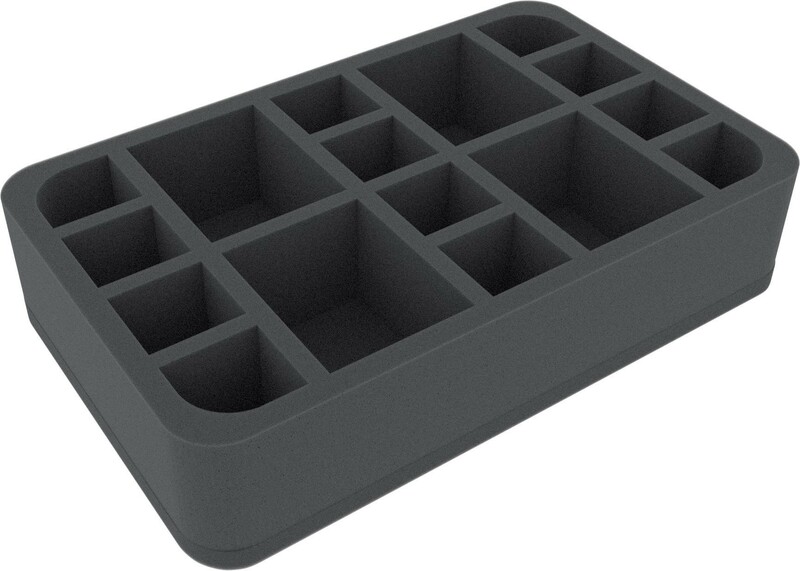 This half-size foam tray with 16 seperate compartments provides more order and a better overview for your Descent collection. 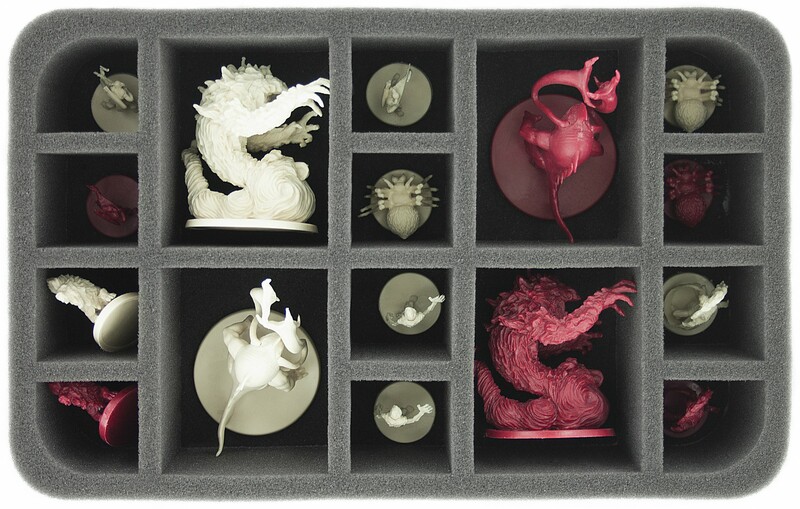 The tray consists of 12 small compartments for small hero and monster figures, measuring 36 mm x 33 mm. Additional four compartments for large monsters, with maximum dimensions of 58 mm x 72 mm. Ideally suited to store the Elementals and Merriods from the core game. The figures should not be taller than 50 mm. Due to the 10 mm thick base, the tray adds up to a total height of 60 mm. With this, your heroes and monsters are kept safely on your home shelf or other storage locations of your choice. It also fits other Feldherr products, such as storage and magnetic boxes, backpack and cases. This will protect your characters from color damage and they are always ready for the next game session with your friends. The foam tray measures 275 mm x 172 mm x 60 mm total height.